Go on a rescue road trip with all your favorite pups in the new app: PAW Patrol Pups to the Rescue. With the new Paw Patroller vehicle, the pups can now save the day in places way beyond Adventure Bay! 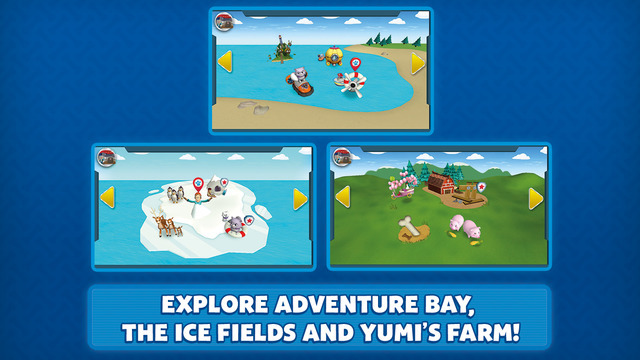 Your child will keep an eye out for rescue alerts, then go on rescue missions to the Bay, the Ice Fields, and Yumis Farm! There are different rescues for each of the seven pups with a variety of fun mechanics, including swipe, tap, tilt, and drawing circles. Rescues feature new tools and vehicles for each pup! The app also includes an awards screen with over 30 awards, tutorials for each game, a parents screen and curriculum guide. Children go on rescues with all their favorite pups! 3 locations: The Farm, the Bay, and the Ice Fields. 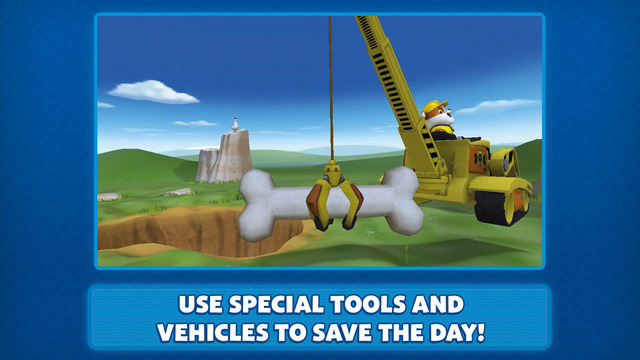 Each rescue is a 2 part game that features the tools/skills of the Pups, and gives players the chance to experience the tools and gadgets for themselves. Map screen to track your progress and select your next rescue. Rewards screen with mission specific reward badges for each rescue, plus additional meta awards for completing all the rescues (30 awards in total)! Parents screen and curriculum guide. This game for iPhone cost $4.99. Then I had to pay again for iPad. Ridiculous. Only to find out that there are only a handful of rescues and the swiping motion won't work on some of the rescues! It frustrates my 8 yr old disabled child! It frustrates me when I okay with him. It is flow to respond. It's a terrible game. I want my money back! $9.98 plus tax for a lame children's game for two devices. Totally a waste of money. Requirements: Requires iOS 7.0 or later. Compatible with iPhone, iPad, and iPod touch. This app is optimized for iPhone 5, iPhone 6, and iPhone 6 Plus.